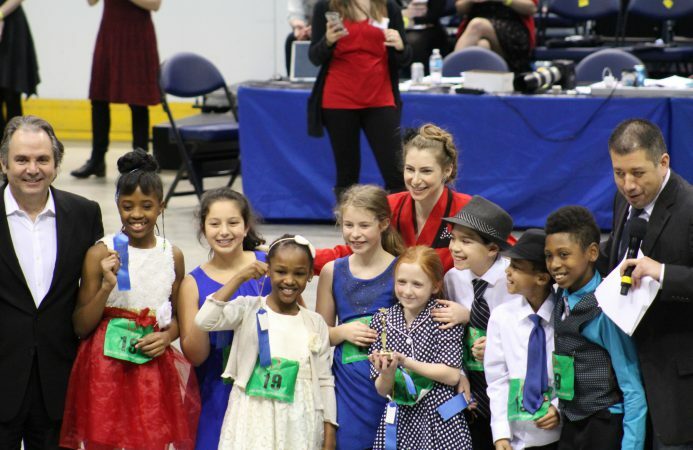 Milwaukee French Immersion has been well-known as a high-achieving public school for over 40 years. We are proud to have a diverse, inclusive community, welcoming families from all around the city of Milwaukee, as well the suburbs. We are recognized by the French Consulate as a LabelFrancEducation school. MFIS has also been honored as a School of Distinction, for successfully implementing PBIS school climate strategies. How do we do it? 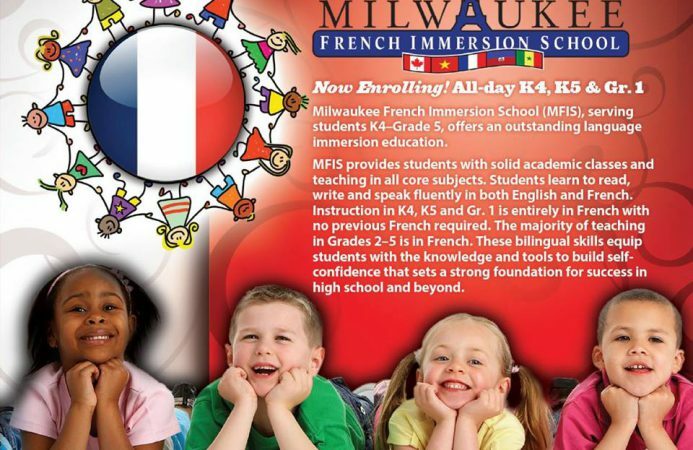 Milwaukee French Immersion accepts new students are in K4, K5, and 1st grade. 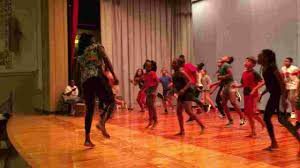 English-speaking students learn French in an environment where French is the primary language of instruction. MFIS students learn to read and write in both French and English. 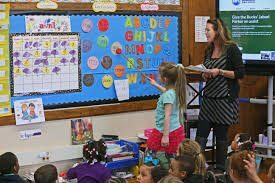 The benefits of second language immersion education are well-established. Researchers confirm that students who are fluent in several languages develop cognitive and analytical skills that are more advanced than their monolingual peers’. Second language immersion education promotes adaptability, flexibility, and creativity. Children gain problem-solving skills as they are expected to code-switch between languages according to context. French is the most frequently learned second language in the world, after English. French is spoken on every continent and there are 220 million speakers worldwide. Our school provides an opportunity to give your child a global education to prepare them for today’s global economy. Having proficiency in a second language can open the doors down the road to greater opportunities in education, business, and travel. MFIS offers citywide transportation for all students living in Milwaukee. Wrap-around care is available through “Camp MFIS” from 7:00 – 8:30 a.m. and 3:30 – 6:00 p.m.
5th grade students participate in a capstone experience where they are immersed in French culture and language for one week at Concordia Language Villages. 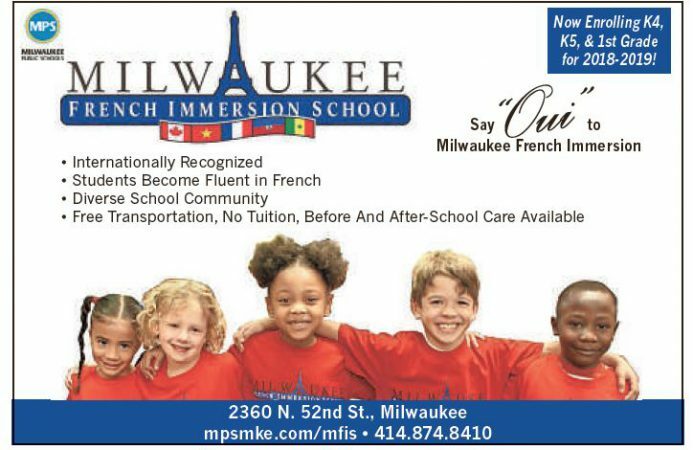 Enroll your student in Milwaukee French Immersion School online now! Call 414-874-8410 to sign up for a tour. New students are accepted in kindergarten and 1st grade only; previous French language experience is required for entry in grades 2-5. For more information and fun photos, check out our Facebook page!